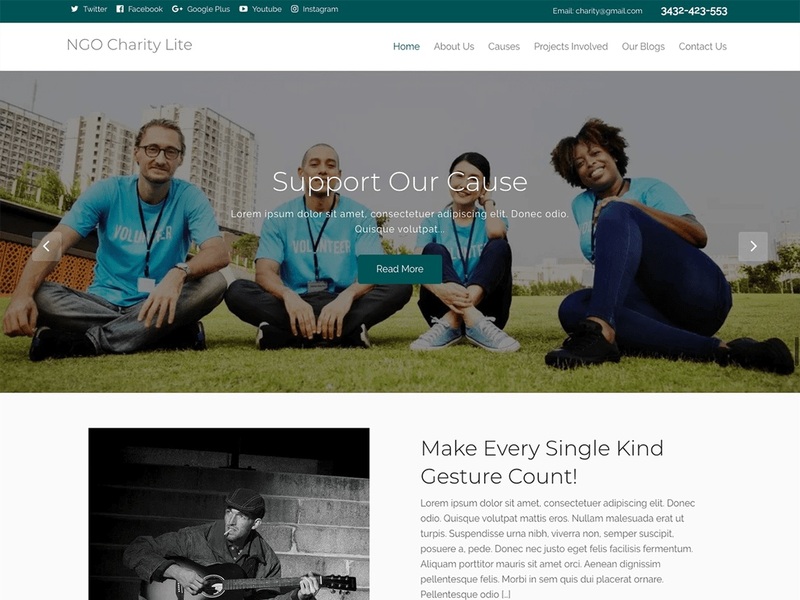 Ngo Charity Lite is a WordPress Theme designed for Non-Profit, Crowdfunding & Fundraising Organizations. This theme makes your campaigns and events easy to manage and market with the Denorious. NGO Charity theme is a uniquely powerful WordPress theme that has been specifically and narrowly designed to attend to the needs of charitable organizations, non-profit organization and non-government organizations (NGOs) of any kind, field, interest or industry whatsoever.